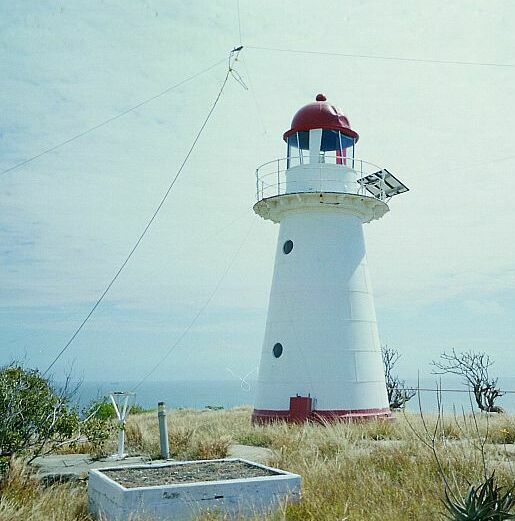 Characteristics:white round metal tower red cupola. Accommodation:No. Accessible only by helicopter or boat. Buily in 1879 this timber framed galvanised iron clad tower is one of 14 of this type in Queensland. Because of its lack of height the weights for the clockwork mechanism had to be wound every 75 minutes. A real problem for the keepers. It was converted to solar power in 1987 and then demanned.